Why do I write a food blog? Wherever I go, food is a great starting point for a conversation. Those passionate about food are some of the loveliest people you could hope to meet, whether they are growing the product, cooking it, writing about it or indeed promoting it, and we always have something in common. Among the many reasons for writing, I hope to inspire you to try something new, to go somewhere different. Food is a great starting point for all sorts of adventures. My round up of my 2012 highlights is, of course, rather self indulgent. But I hope you’ll enjoy revisiting a fabulous foodie year with me. I became obsessed with India through watching Atul Kocher cook and films such as Monsoon wedding. I am sure my view was rather skewed, but the trip to Kerala only made me more passionate about an amazing country. Not only that, it’s made a profound change in the way I cook and eat. Mr E F and I signed up for a vegetarian cookery course at Pimenta Spice. It was also such a great way to discover a country and its people. For a week, we cooked and ate vegetarian food and did not miss meat one bit. No, I’ve not stopped eating meat or fish, but these no longer dominate our weekly menus. Thank you Jacob. Kerala was hot – around 34°C each day. Lime sodas quenched our thirst – with that all important grated ginger added. 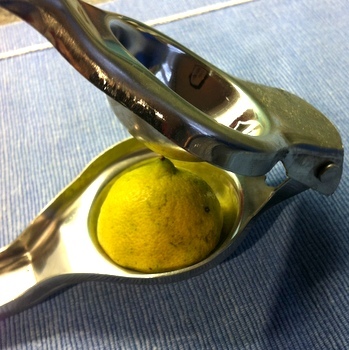 This lime squeezer is invaluable. You certainly don’t need to be in such heat to enjoy the drink, it’s a great non-alcoholic beverage at any time of year. You can purchase a similar one. We’d been invited to visit Belfast as part of their inaugural Restaurant Week in October. Not knowing what to expect, I guess we were a little surprised to fall in love with that city. We met passionate restaurateurs, amazing producers and visited St George’s Market. It’s a place that’s buzzing and food has much to do with that. Having been in touch with John Ferris of Food Belfast we hadn’t quite appreciated what was involved in “Bloggers at the Circle”. Somehow or other, we got places at an event that had been subscribed for months. He and Kevin McGuinness, mentored by Restaurateur and Chef Michael Deane cooked for 90 people on two nights and raised £5000 for the Bubbles charity. 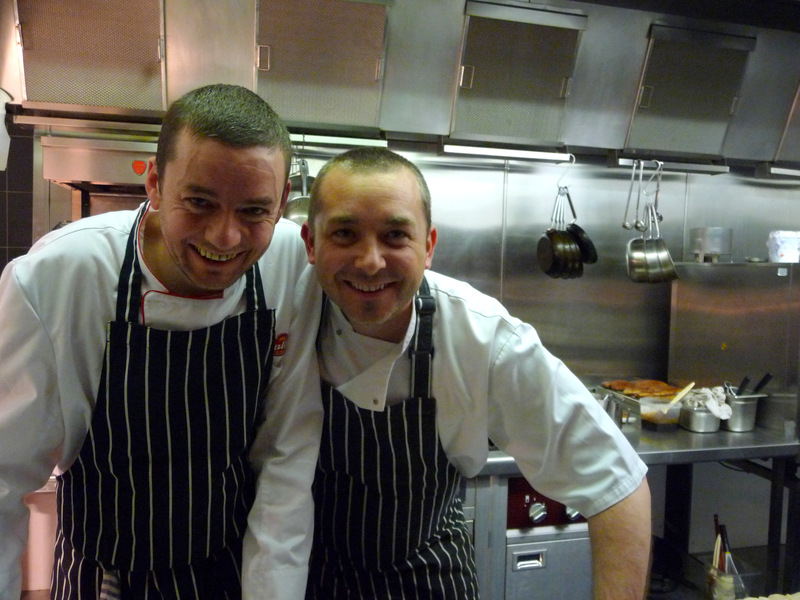 Top Northern Ireland chefs gave up their time to join John and Kevin in the kitchen. A top sommelier, cocktail maker and waiter were added to the mix. Local food suppliers donated fabulous produce. The food was absolutely delicious. An astonishing evening, never to be forgotten. We’ll be back. 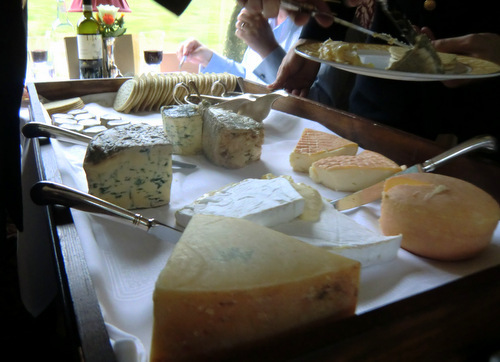 In July, The Food Travel Company invited a group of bloggers to experience Cornwall. I hadn’t visited since I was very young and was hopeful of some good weather too. In the event, the iffy weather did not stint us. A highlight for me, was visiting Newlyn fish market early in the morning. I can still see the enormous fish – John Dory and Gurnard destined for London’s top restaurants. We learnt about sustainable fishing and how to identify the different types of fishing boats all before breakfast! 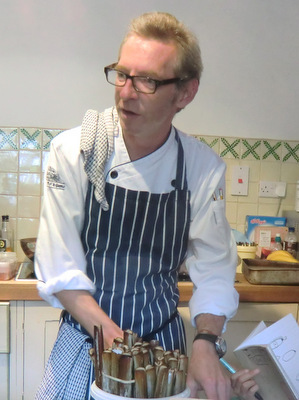 Lee Groves later gave us great insights into cooking seafood. Read more about our trip to Cornwall. I’m sure many of us have dreamed about a long luxurious train journey. In August, to mark the launch of a new carriage, the Duart, we spent the day aboard the Northern Belle. Setting off from Edinburgh we wended our way to Oban through fabulous scenery and were wined and dined along the way. 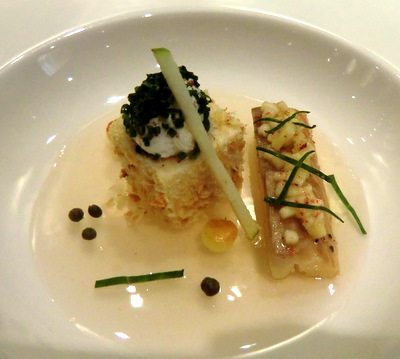 Whilst Caroline and I do review restaurants, it’s not the main focus of this blog. Our favourites are restaurants we return to time after time. The food has to be great, but the welcome, the services and atmosphere are essential to make it special. Castle Terrace: Each time I visit, I love this restaurant more and more. We celebrated a family birthday earlier in the year and had quite a range of dietary requirements. Our evening was made by a visit to the chef’s table, a tour round the restaurant followed by a sumptuous meal. I’ll confess, I’ve not written a review as such, you’ll just have to visit to experience it yourself!. Timberyard: A welcome return by the Radfords in a fantastic space, all the more wonderful for them having worked on it themselves. The food is fresh, seasonal and tasty and matched with some amazing drinks and cocktails. Mithas: Simply delicious Indian food of the highest quality. The restaurant is beautiful, the staff friendly and helpful and the chefs very talented. Try the tasting menu (we particularly like the vegetarian/fish one) and you’ll understand what we mean. 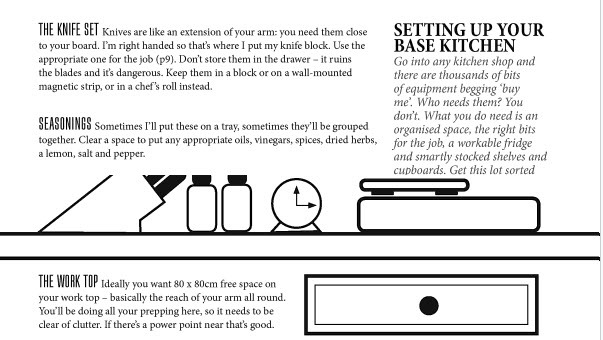 So many cookery books have been written with the aim of getting a reluctant beginner into cooking. Sam Stern’s book inspired my tester without dumbing anything down. It’s presented beautifully in a way that is comfortable to those of us who are wedded to online and offline ways of working. 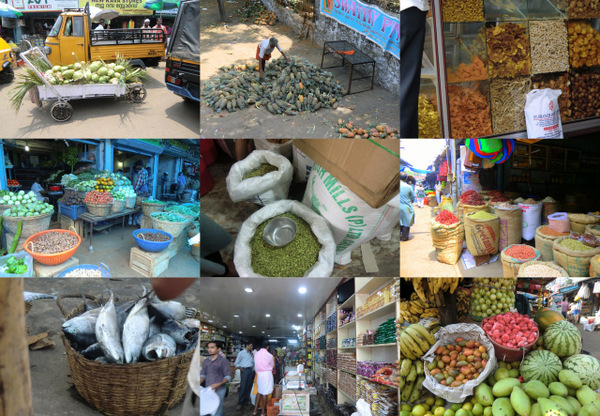 Again, this came out of our trip to Kerala. 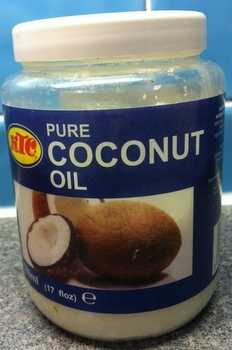 There, everything is cooked in coconut oil. It was somewhat of a surprise to come back here and find that whilst it was a liquid there, is solid in our cold climate. It’s not so much the flavour, but the fact that you can cook at a higher temperature and really does make a difference when you’re cooking any dish, not just Indian. It is not expensive less than £3 from my local Indian shop. I came across the Kwan’s at the Foodies Festival in the summer. We purchased a pot of their Black Bean and Garlic sauce. I tried it out on many different foods and I was wowed at the way it complemented the different ingredients. 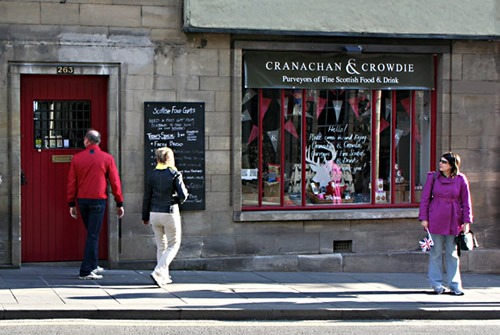 Beth and Kate have created a haven of Scottish products in their shop Cranachan and Crowdie on Canongate. Imagine, every single food and drink product in the shop has been made in Scotland. It’s a place not only for gifts, but for any cook as a source of excellent ingredients. It’s impossible to include links to all the wonderful adventures, the recipes we’ve created and producers we’ve discovered, but thank you to everyone. We’ll continue to create sections which currently include Restaurants, Cafes , Recipes and Competitions over the year. Subscribe to the blog so you don’t miss any of our posts and to hear about our occasional Edinburgh Events. Last updated by Bread Baker Danielle at March 18, 2013 . Can I suggest you correct the spelling on your banner at the top of the page.